“Wow. That tooth looks pretty bad. You should see an endodontist.” People may hear that after a dental visit. Many may not even know what one even is. Fear not. We have what you need to know right here. Here are some of the answers to questions that you may have about what an endodontist is and what it entails. Yes, that’s the first question that comes to mind when you see the word. It even seems like it might be misspelled. It’s not. An endodontist is a dental specialist who is intimately familiar with the tooth and the root inside the tooth – what causes tooth pain. They have spent an extra two years or more studying this – and their specialty is saving teeth. Oftentimes they are the ones who do root canal surgery. They also help with tooth trauma and can do dental implants. 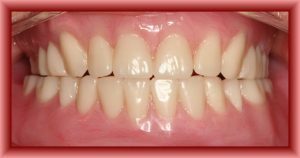 While they want you to keep all your natural teeth, sometimes that’s just not an option and should that be the case, they will plan the best course of action. It might be tough to decide whether to just go for a regular dentist visit or to an endodontist. You might be in luck if your regular dentist also is an endodontist, like Dr. Kiser is. Anyway- if you have pain or sensitivity in your teeth, you think you might have a cracked tooth or have had trauma to the tooth (like a ball to the mouth) or may need root canal treatment. That’s when you need to forgo the dentist and see a specialist. “You need to have root canal surgery.” There was a time when those words were equally terrifying as learning that the IRS wants to talk to you. Not any more. Especially since taking a wait-and-see approach can wind up giving you a lot more pain and discomfort than a root canal ever could. While treatment can just be cleaning the infected area and removing inflamed tissue, sometimes an apicoectomy is required. That’s when the root tip is removed and a filling is put in its place. A regular dentist may do two root canal surgeries in the course of a week whereas an endodontist may do 25 of them. That means they have the procedure down to an exact science and do it quite efficiently. You’ll also likely heal faster having the root canal done by an endodontist. As is the case of even what is considered routine surgery, there is risk. There’s a very small percentage of patients who might wind up having a tooth become infected years after endodontic surgery. If you need to have endodontic surgery, Dr. Russell Kiser is a perfect pick – he’s an endodontist, along with being a regular dentist. He’ll look at your teeth and decide whether you need to have surgery or if other methods will work better. His staff will do a great job of looking after you as well. Below are links to different procedures, articles and photos for Endodontics.